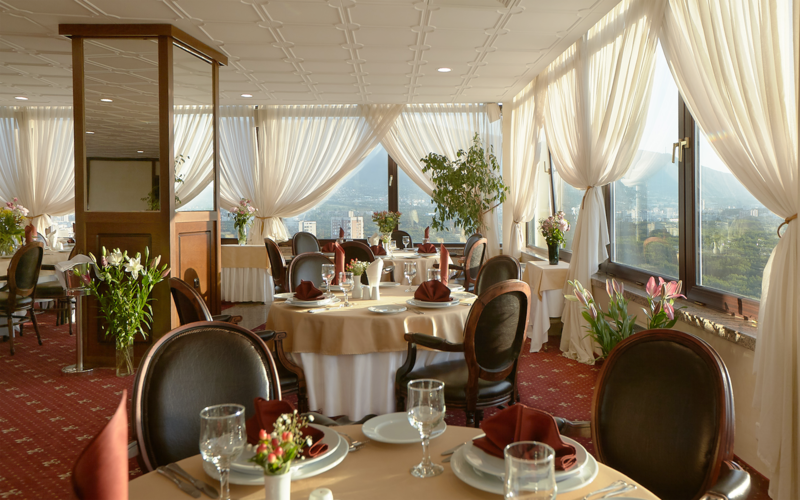 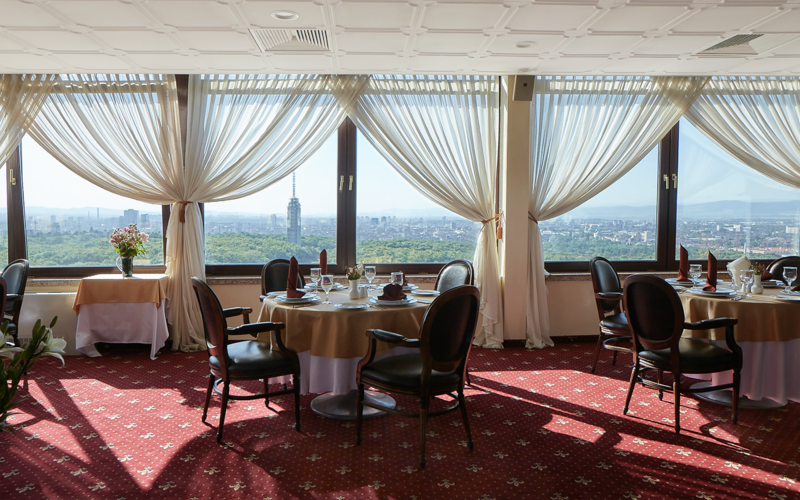 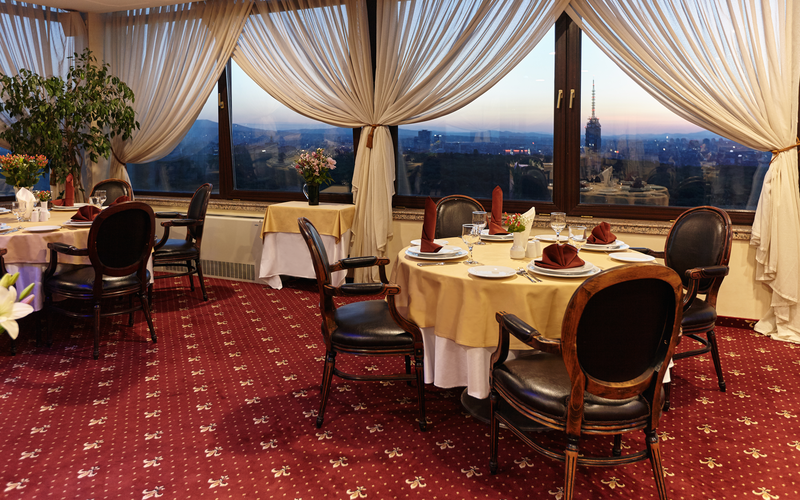 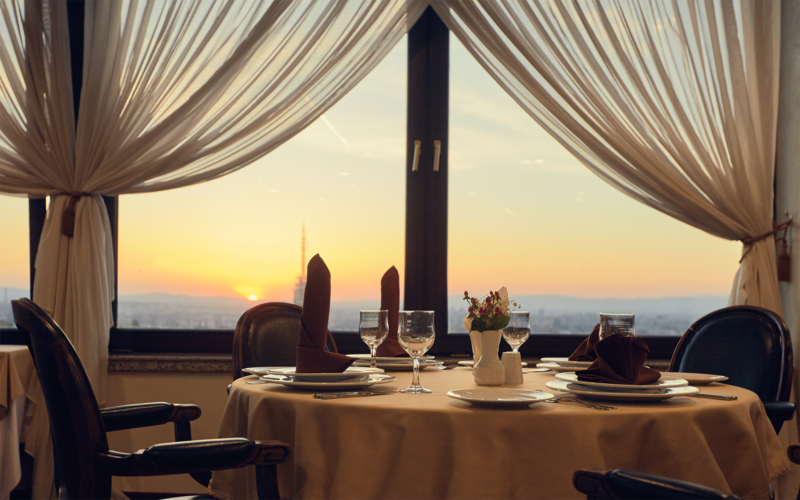 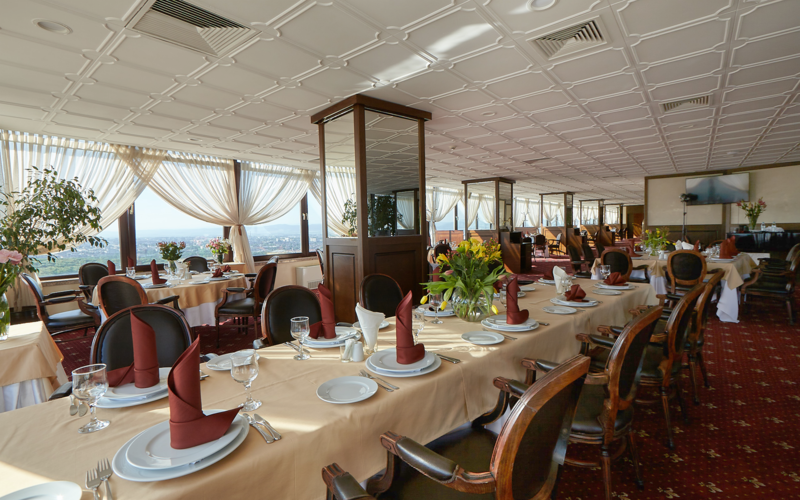 Panorama Restaurant (on the 19th floor) is the perfect place for business-meetings in a stylish & discreet atmosphere, for romantic dinner or intimate date with friends & family. 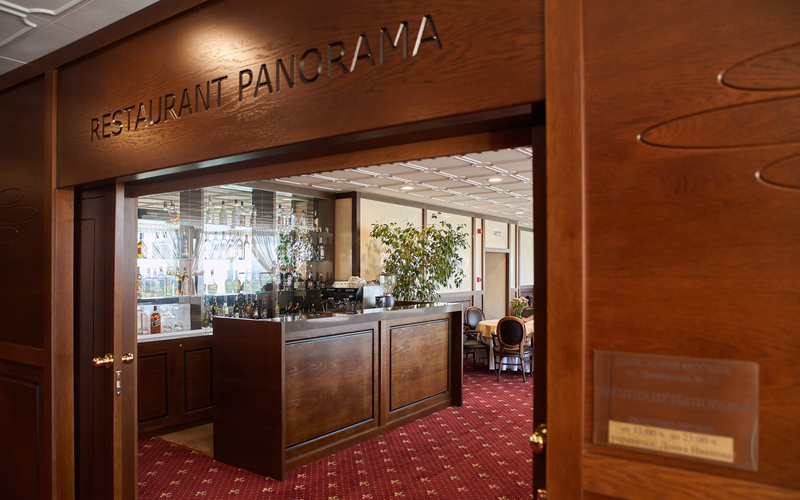 With capacity up to 120 seats, the restaurant dominates as a unique and a remarkable place for weddings, personal & corporate events, cocktails, gala dinners and banquets. 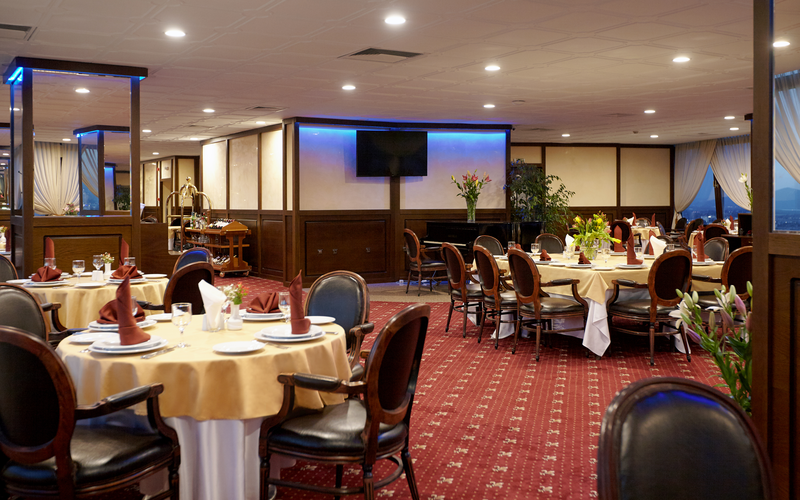 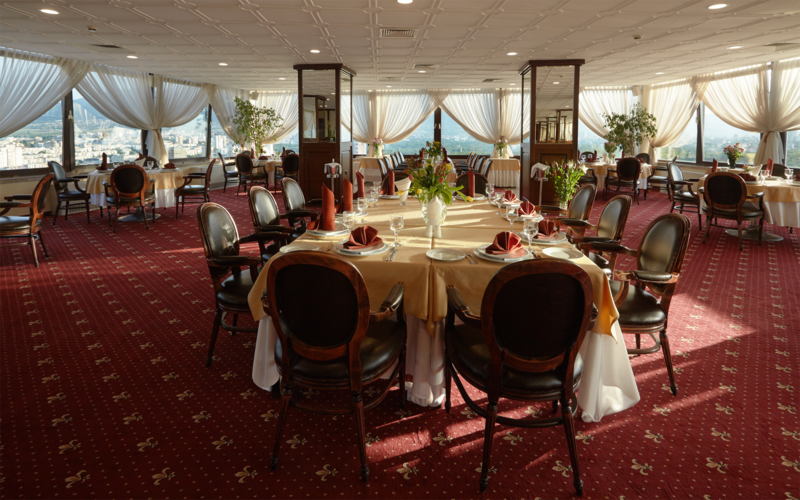 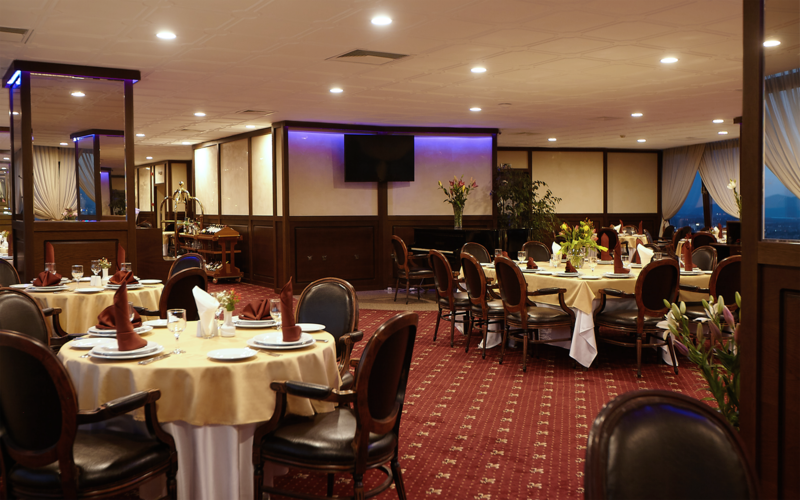 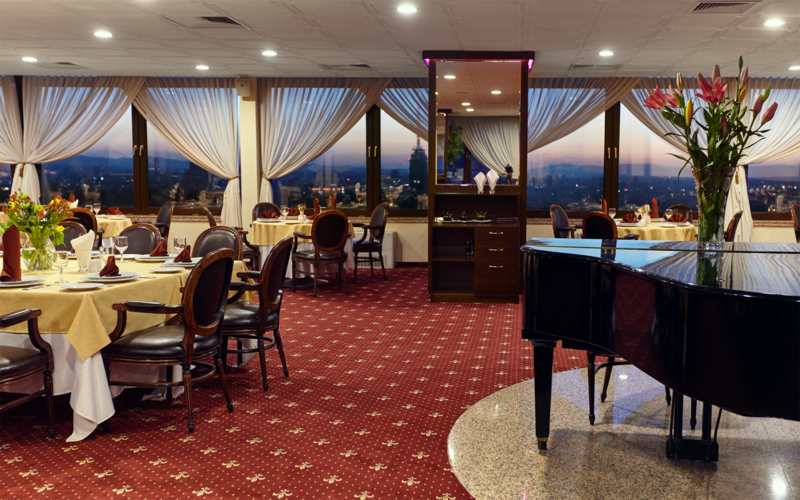 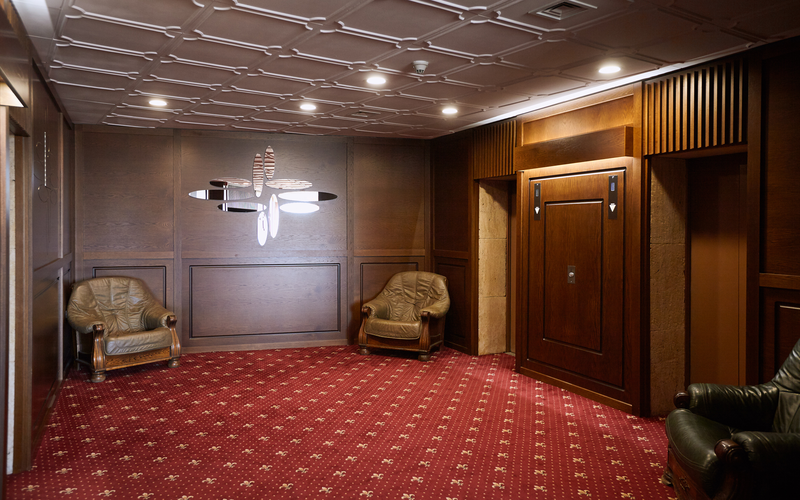 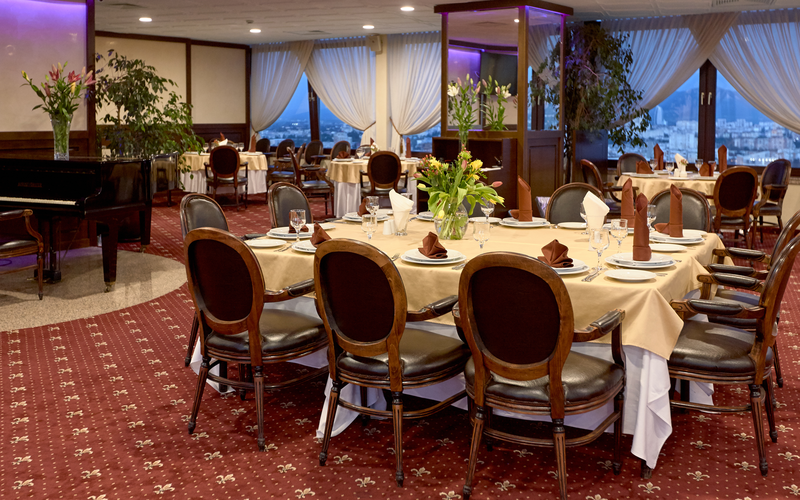 We offer high quality food, combined with the best from the traditional Bulgarian & European cuisine, wide variety of drinks and tempting deserts.